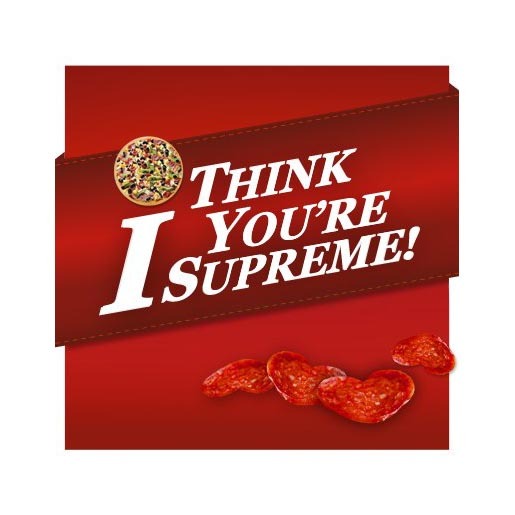 With strong hints of pepperoni it’s the hottest scent in Australia right now, and with only 50 bottles available, the most exclusive. 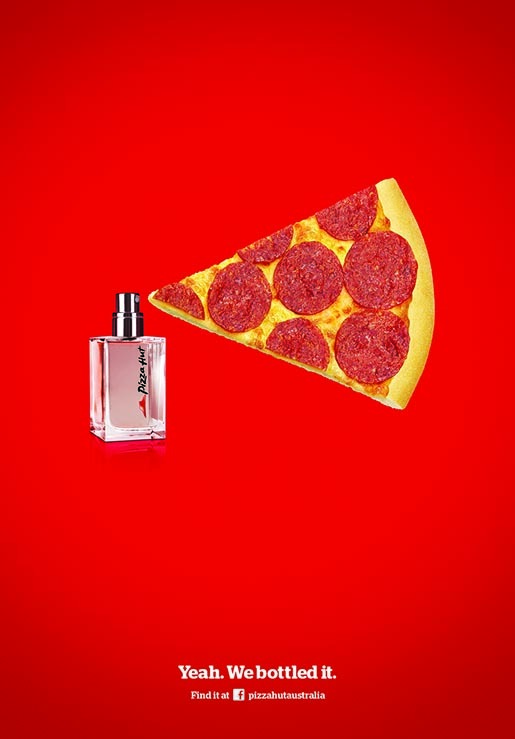 Eau de Pizza Hut, a deliciously doughy scent that elicits drool when it’s worn, features in a print ad like no other in the fragrance category. 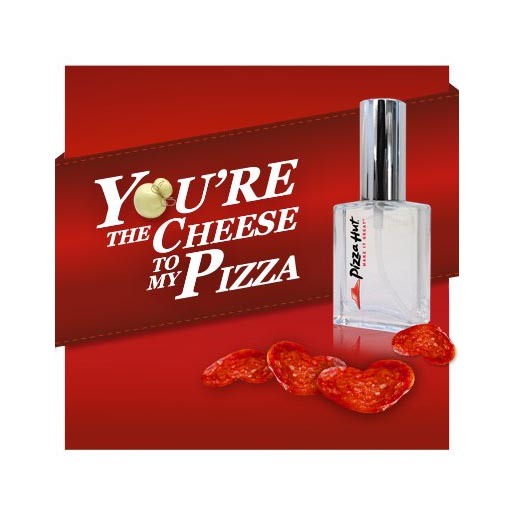 The ad was launched off the back of The Scent of Love, a Pizza Hut Valentine’s Day Facebook competition in which the perfume was part of the prize pack. 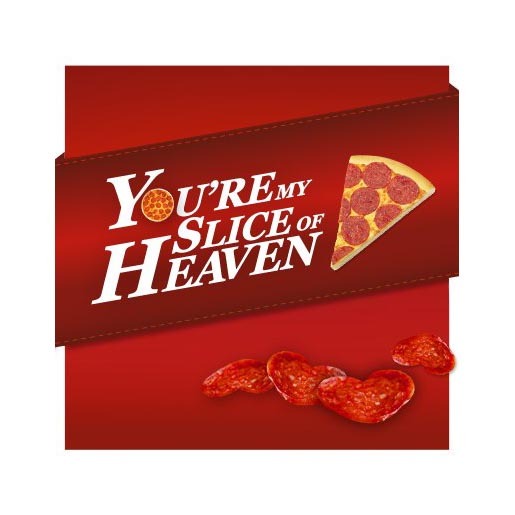 The Eau de Pizza Hut ad was developed at M&C Saatchi, Sydney, by executive creative director Ben Welsh, creative directors Shane Gibson and Phil Leece, art director Cameron McDonald, copywriter George Organ, account team Mark Timmins, Annabelle Barnum, Shanna Hermansen.